1920s Vienna. 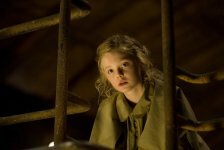 Nine-year-old Mary (Elle Fanning) lives in a home filled with lovely things and loneliness. Besieged by bratty brother Max (Aaron Drozin) and neglected by well intentioned but distracted parents (Richard E. Grant, Yuilya Vysotskaya), she yearns for companionship and adventure. On Christmas Eve, Mary’s beloved Uncle Albert (Nathan Lane) arrives with the gift of a wooden nutcracker doll. Later that night, Mary’s imagination brings the doll to life. Introducing himself as “NC,” he takes her on a wondrous journey though a stunning dimension where toys assume human form and everything appears ten times larger. But danger lurks. 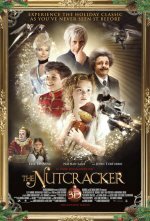 An army of toothy rat creatures, led by the flamboyant Rat King (John Turturro) and his devious mother (Frances de la Tour), has unleashed a plot to overthrow humanity…… Inspired by Tchaikovsky’s timeless ballet, Nutcracker – The Real Story features eight songs from the famed composer, with original lyrics by multi Oscar winner Sir Tim Rice. Loaded with action, stunts and eye-popping visuals, the film also presents several eclectic dance numbers, along with a faithful adaptation of the original 1892 ‘Dance of the Snowflakes’ by legendary Russian choreographer Marius Petipa. 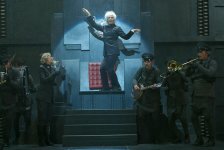 Tim Rice will contribute lyrics to eight new songs using Tchaikovsky's scores.